Stand out among the crowd, as the naughty evil devil. 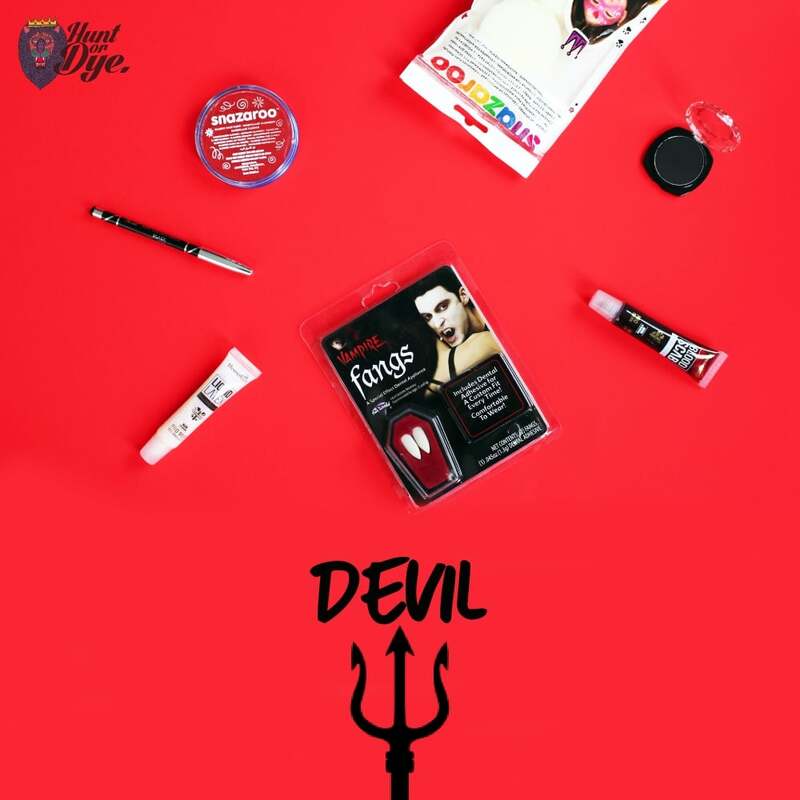 Show off your devilish side with this complete devil set. Why look anywhere else, when you have everything you need in one place to help you create the ultimate devil costume. Face Paint - Red: Use to help create a pure evil red devil's face. Vampire Fangs: Add a extra special effect to your costume with the vampire fangs, helping your costume feel more realistic and scary. VAMPIRE FANGS: NOT SUITABLE FOR CHILDREN UNDER THE AGE OF 14 YEARS. KEEP AWAY FROM FIRE.